The last time Harley-Davidson saw the dirt was with the 1999 MT500, which very few of were made. 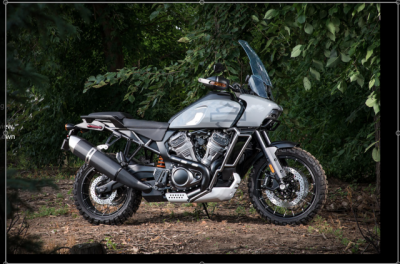 Enter the Harley-Davidson Pan America 1250 Adventure Bike. This bike was highlighted in a video released this morning by Harley-Davidson showing their path into the future. That path might surprise many Harley faithful with what the new line up of bikes will become. I find it important to note however, that Harley Davidson CEO Matt Levatich re-upped on their commitment to continue their dedication to their current lines of cruisers and touring bikes. Talk of four new bikes and models, including the all electric LiveWire, Streetfighter, custom, and Pan America Adventure Bike. The Pan America is what has really caught my eye, and may overshadow what the company has done with the Streetfighter and the LiveWire. Details are scarce, but it looks like there will be two all new engines based on an all liquid-cooled, 60-degree V-Twin DOHC engine. There will be two variants of this engine, a 500 and 750cc engine, and then also a 975 and 1,250cc. These engines will power the new adventure bikes, the streetfighter, and customs. Harley has never seriously competed in any of these segments, and this can only be a good thing for the MoCo. 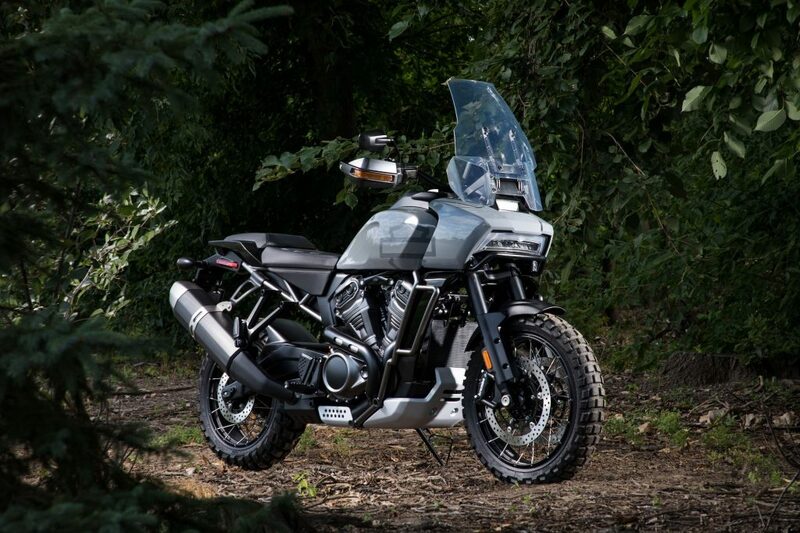 The Pan America is a full on adventure bike that is slated for production in 2020. The video shows the bike catching some air, and doing the things that are expected of a full size adventure bike from the likes of BMW, Triumph, or KTM. There are no actual specs on the bike yet, but from the images the bike has high-end Brembo brakes, tubeless spoke wheels which will make for easy flat patching on the road, and great looking inverted forks and a single shock. Continued innovation and bikes that will attract new riders is great for the industry as a whole. After my trip to the mountains this year and seeing dirt and gravel roads that my StreetGlide couldn’t handle, I personally have been considering an adventure bike, and this one may find it’s way into my own garage if it has the ability to compete with the adventure bikes that are on the market today. Be sure to check back regularly for updates on the new bikes as we know more!